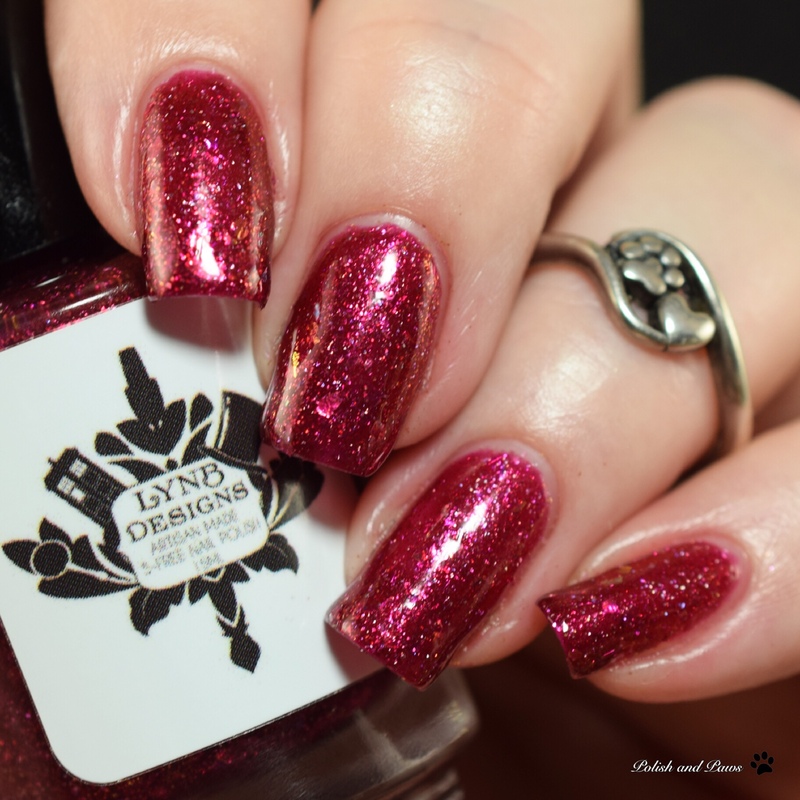 Today I have LynB Designs offerings for the February Polish Pickup to show you. It’s quite a bit earlier than I usually post these but since I will be out of town until the beginning of February I am showing them to you now. Let’s jump right in! 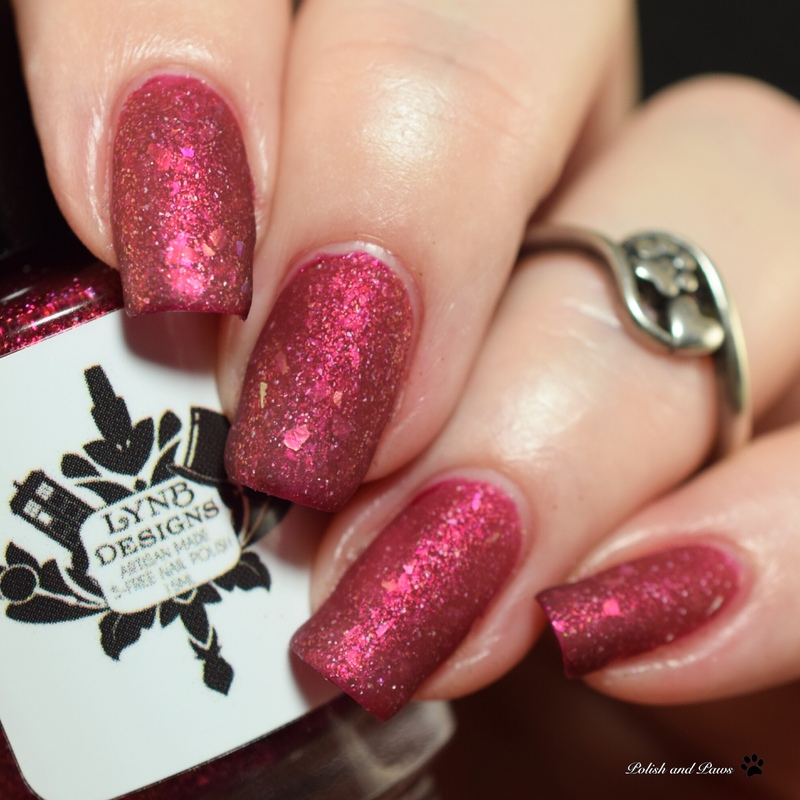 LynB Designs May I Offer a Sarcastic Comment? May I Offer a Sarcastic Comment? 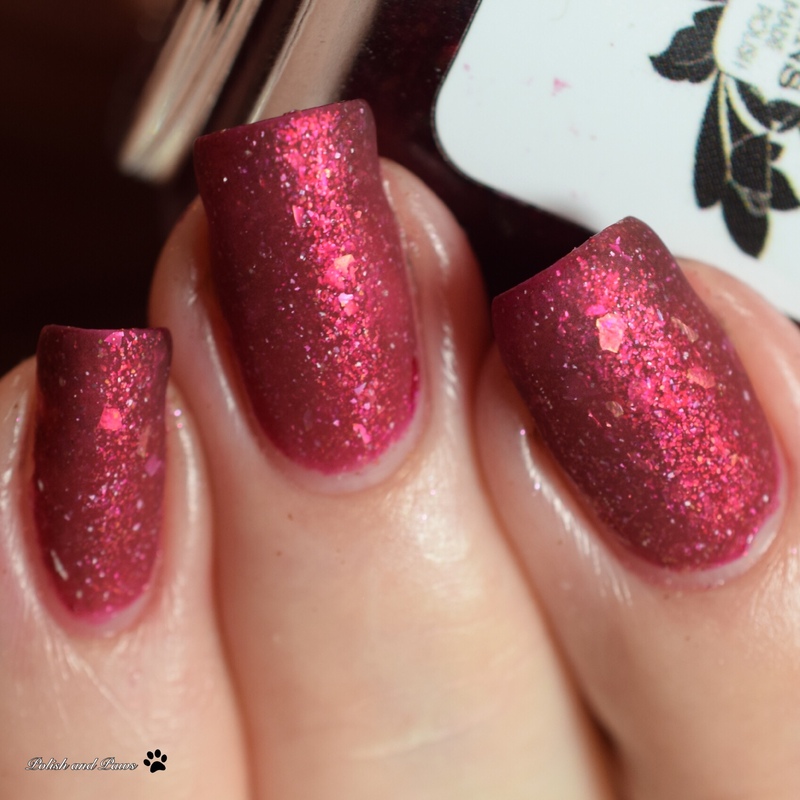 is described as a deep red crelly base loaded to the brim with holo micro flakies, red to gold to violet shifting shimmer, and two different color shifting flakies: one that shifts from pink to gold and one that shifts from purple to lime to copper to pink. This applied easily and smoothly. My swatches show 3 thin coats followed by glossy top coat. And check out how gorgeous it is with matte top coat! 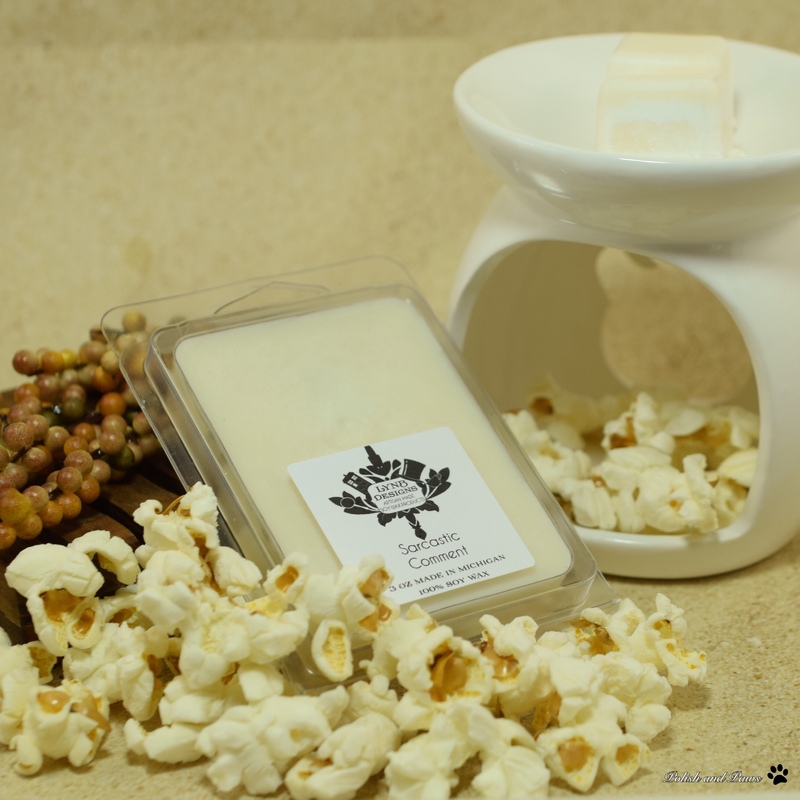 A Sarcastic Comment is a soy based wax melt scented with a sassy blend of buttered popcorn with a dash of vanilla and cinnamon. This melt smells absolutely divine and has a good throw, which I have found to be the case with all of her wax melts I have tried. These items will only be available through The Polish and Indie Pickup, respectively, Friday, February 1st at 11am EST through Monday, February 4th at 11:59pm EST. 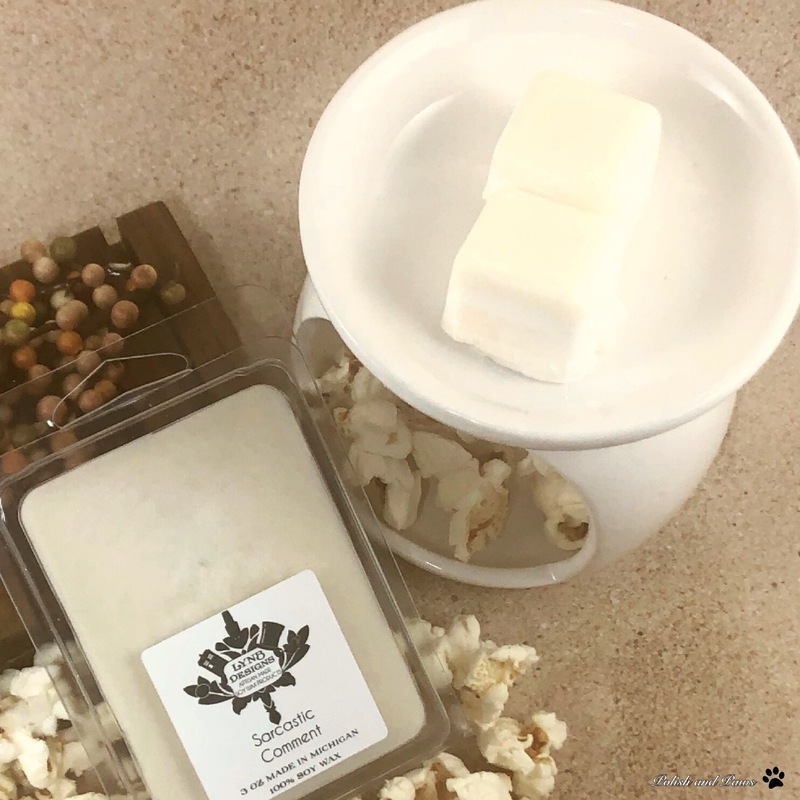 The wax melt will retail for $4.00 and there will be no cap. The polish will retail for $12 and be capped at 200.